A year ago a special phase of my running activities started, a new level of my passion. That was the time when I received a new support as a runner. That was the time when my friends at Zitec decided to put their trust in me and make me their running ambassador. 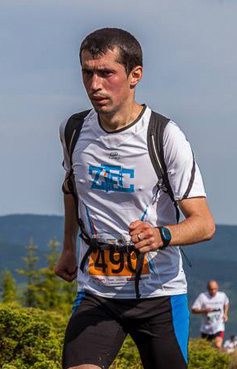 Meanwhile, I’ve completed 19 marathons, 2 ultra-marathons and several other running competitions under the Zitec colors. 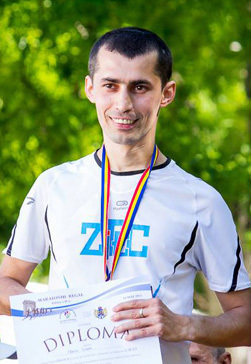 I won 4 marathons: Maratonul Reintregirii Neamului Romanesc in 2012 and 2013, Maratonul Regal 2013 and Dracula Maraton 2013. In 2013 I’ve achieved my personal best time on the marathon distance (03h 04m – International Cluj Marathon) and on the half-marathon (1h 26m – Semimaratonul Hunedoara-Deva). On August 24th, 2013 I reached for the 1st time the overall podium in a mountain running marathon (Olt-Mures Marathon). 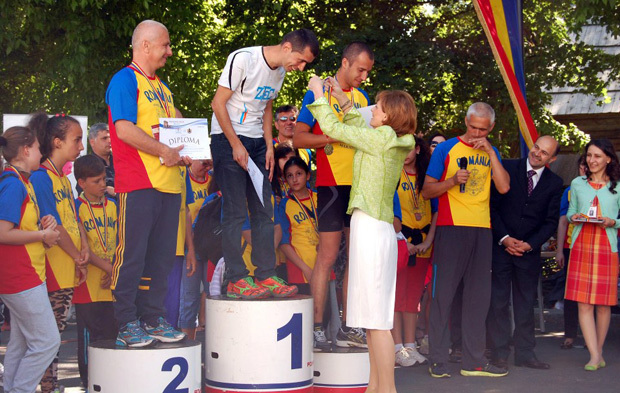 The next day I won the 1st place in a Triathlon Relay race – Romanian Cup Triathlon – Reci. It was the best running week-end ever. In September 2013 I ran my first road double-marathon – 84Km on Transfagarasan – and came out in the 3rd place. It was the 1st podium in ultra-marathons. In August 2013 I completed my 50th marathon race and became the youngest Romanian runner that finished 50 marathons. And the list may continue. Already achieved targets or brand new challenges, all of these were the result of a huge support from my friends at Zitec for which I am so grateful. Thanks for helping me compete with so much confidence and for giving me the chance to race in all those competitions! Zitec believed in me and in my running goals. They simply made it happen! It was more than enough to remain 100% motivated all this time. It’s easy to reach the top, but it’s difficult to stay there. For me, this is only the beginning. I am really thrilled to keep running with Zitec and it’s a real pleasure and great honor to be part of its image. Running it’s a way of life, a state of mind, something that shapes and fulfills you as a better human being. Finishing a marathon means a victory, no matter the place. This is how you earn your self-respect and self-confidence. When you succeed in finishing a marathon, your mind and body are prepared for anything in life and you feel like nothing can stop you anymore. Above all passion, results, awards, medals and personal achievements, there is the running community and friends. After you joined this world you can’t stop running because you can’t leave your friends. The ones you run with and the ones that support you. Friends who believe in you and give you the unbelievable strength to keep going and better your best. Golden fish, grant me a wish!